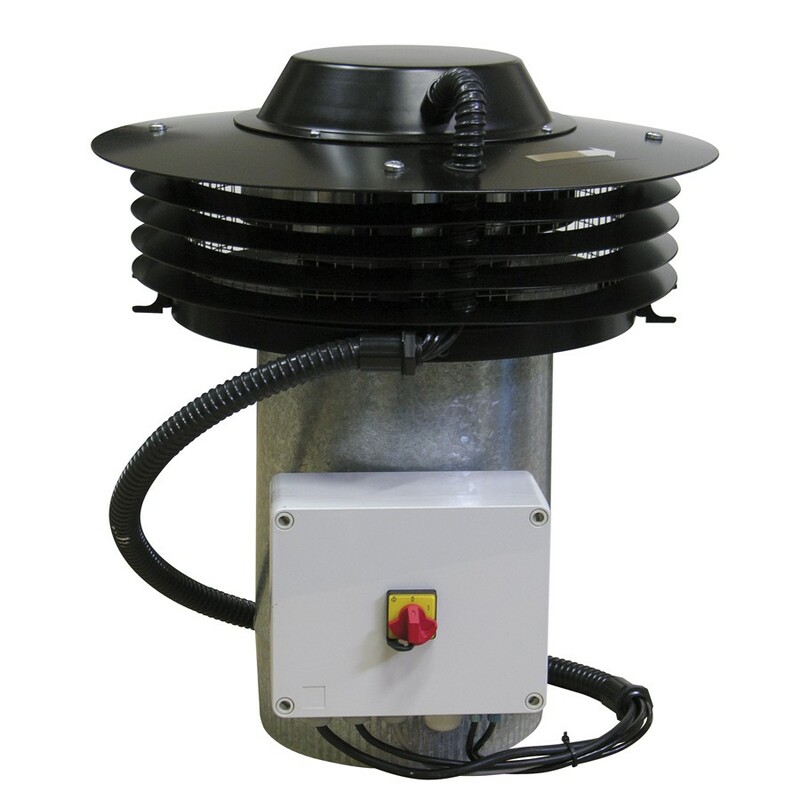 Range of centrifugal roof mounted fans in horizontal discharge format which are mounted directly above a circular duct for the ventilation of housings and small enclosures. Centrifugal backward curved impeller in galvanised sheet steel. Galvanised steel sheet housing protected by black epoxy polyester paint. All models are fitted with bird proof guard. Duct connection flange with integrated rubber air seal, EC external rotor motor, thermal protector, and ON-OFF switch IP55. - Remote control, to adjust settings, as accessories. - Possibility to connect up to 32 fans with each other to design a fan network which can be adjusted and controlled with only one remote control. - 1 digital input (Night position). - Main supply: 1-230Vﾱ15% 50/60Hz. - This mode is not possible with CTB-400/160 ECOWATT PLUS. - 2 analogue inputs 0-10V or 4-20mA.